Hall Receives NCAA Postgraduate Scholarship Mary-Frances Hall '18 is the 23rd W&L student-athlete selected to receive a scholarship over the last 15 years. The National Collegiate Athletic Association (NCAA) released its spring 2018 postgraduate scholarship winners and recent Washington and Lee graduate Mary-Frances Hall (State Road, N.C. / Elkin) was among the 58 Division I, II and III student-athletes that were recognized. Hall is the 23rd Washington and Lee student-athlete selected to receive a scholarship over the last 15 years and the second General tabbed during the 2017-18 school year, joining former men’s soccer player Gillen Beck ’18. All told, 42 W&L students have received an NCAA Postgraduate Scholarship since 1970. 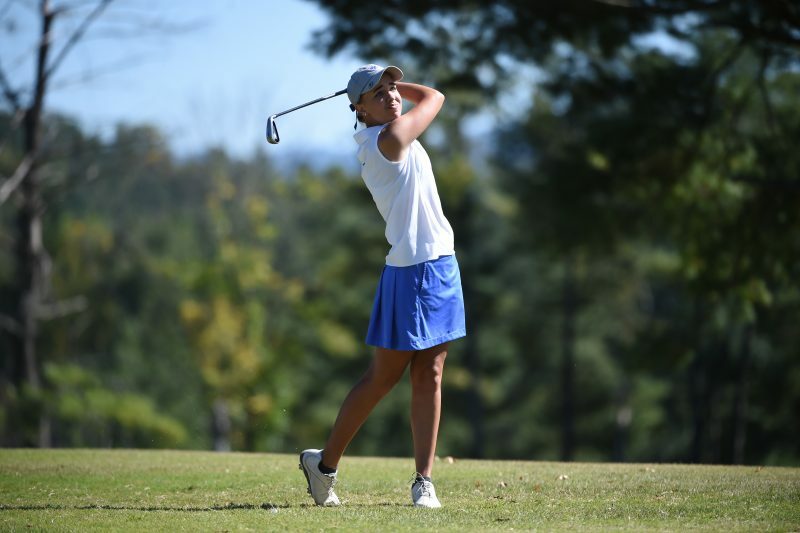 Hall received four letters as a member of the women’s golf team at W&L, earning a degree while majoring in neuroscience. She was a four-time All-Old Dominion Athletic Conference honoree, earning the ODAC Rookie of the Year and Player of the Year Awards as a first-year in 2015 when she also garnered Second Team All-America laurels. A two-time Women’s Golf Coaches Association All-America Scholar and WGCA All-East Region selection as a first-year and senior, she played 71 career rounds and registered a 78.59 career scoring average. 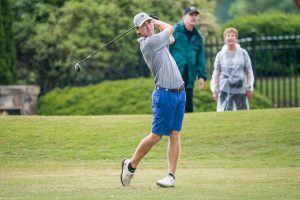 Hall posted three career tournament victories, including the 2016 ODAC Championship. During the 2017-18 season, Hall ranked 25th in Division III and she recorded a team-leading 78.21 scoring average. She helped lead the Generals to their second ODAC title and second trip to the NCAA Championship across her four seasons. 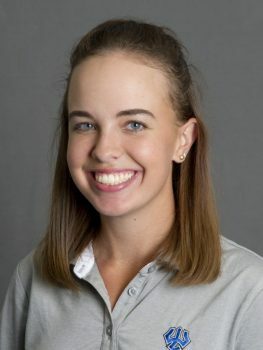 Off the course, Hall is a member of numerous honor societies, including the Beta, Beta, Beta – Phi Xi Chapter, Phi Eta Sigma, Omicron Delta Kappa and Phi Beta Kappa. She worked in the Cognition in Context lab at W&L under Professor Wythe Whiting and Professor Karla Murdock, and she volunteered with the YMCA Happy Hearts Afterschool program. Additionally, she served as a W&L tour guide and she sat on the Leadership Advisory Committee for W&L Student Ambassadors. Hall will spend the coming year working as an AmeriCorps service member with Impact America in Greenville, S.C. Following the completion of her service, she plans on attending medical school with the ultimate goal of serving pediatric patients in a rural or underserved area.